It's three months short of three years since the referendum and only now are MPs starting to look seriously at the options available to them for Brexit. Even then, their plans are an irrelevance for, unless they ratify the Withdrawal Agreement, we're headed for a chaotic exit where the EU will be calling the shots. This is, of course, provided Mrs May doesn't suddenly reverse course and decide to revoke the Article 50 notification, in which case we're in for a whole new mess of politics that will take us in directions no-one can predict. The other possibilities are well-rehearsed, including a delay in Brexit to allow for another referendum and even the outside chance that enough MPs will come together at the very last minute to do the business on the Withdrawal Agreement. But even now, with an apparent change of heart by Rees-Mogg, that looks distinctly unlikely. However, enough of the ERG "ultras" are beginning to realise that further resistance to Mrs May's deal could put the whole Brexit project at risk so, belatedly, they are coming round to the idea of backing their prime minister – something they could have done months ago had they thought about it, nothing really having changed in the interim. 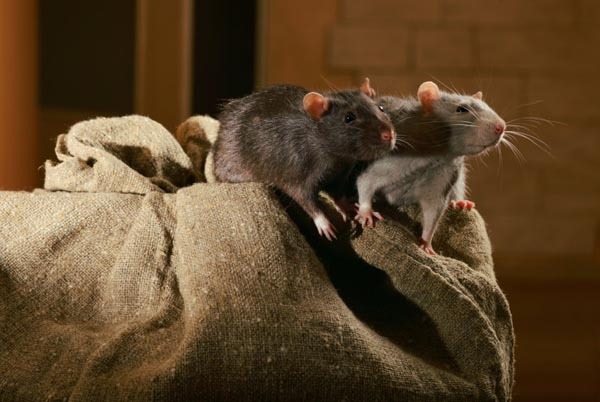 That leaves, according to one source, Tories turning on each other, fighting "like rats in a sack", as the different factions start blaming each other for the failure to bring Brexit to a successful resolution. Needless to say, rather than sort out their differences in an adult fashion, MPs are indulging in this massive exercise in displacement activity of "indicative votes", leaving the public stone cold. Only about seven percent think that the government has handled Brexit well, while just six percent expect the UK to get a good deal. This is the fruit of a new survey produced by the National Centre for Social Research (NatCen) which has leavers and remainers equally critical, taking in a substantial increase in leavers who have lost confidence in the government's handling of Brexit. At this stage, the focus is on the government, so there is no separate assessment of parliament's role in the debacle. And nor would it be easy to assess as the respective roles of the executive and the legislative are not always clearly defined and have varied over time. And then, a distinction must be made between the Tories and the opposition parties, which further complicates any assessment. News of the day (for some), though, is Rees-Mogg admitting to a "thought process" that people like him hadn't gone through before, that Brexit is a process rather than an event. "I think many of us felt that, on 29 March, we leave, that's it, bingo, done", he says. "Whereas it seems as if leaving is much the same as joining". Unravelling our membership, he adds, "is perhaps not a single event but a process of unravelling and diverging which will take time". If we see "Brexit" as a process rather than a single event, the act of leaving becomes an enabler rather than an end in itself. In our view, the primary objectives of those managing the withdrawal are to set up the structures and strategies which will provide a sound foundation for the governance and development of a post-exit Britain. Crucially, we also need flexibility to react to change, and deal with the many unknowns that will emerge. For the immediate outcome, and in the years following an exit, we would be satisfied with economic neutrality – neither gain nor loss. That people such as Mogg are so selective in their choice of material is very much part of the problem we have with the Brexit debate, where choices are most often made on the basis of the prestige of the source, and whether they support existing prejudices. But there is also the phenomenon of anti-prestige, where some sources, such as Flexcit, will not be read under any circumstances, simply because of what they are. This is now carrying over into the immediate events where, to add to the incoherence of the Common Market 2.0 plan, we now have George Eustice come up with his own version of the Norway option which at least avoids the pitfall of including a customs union. 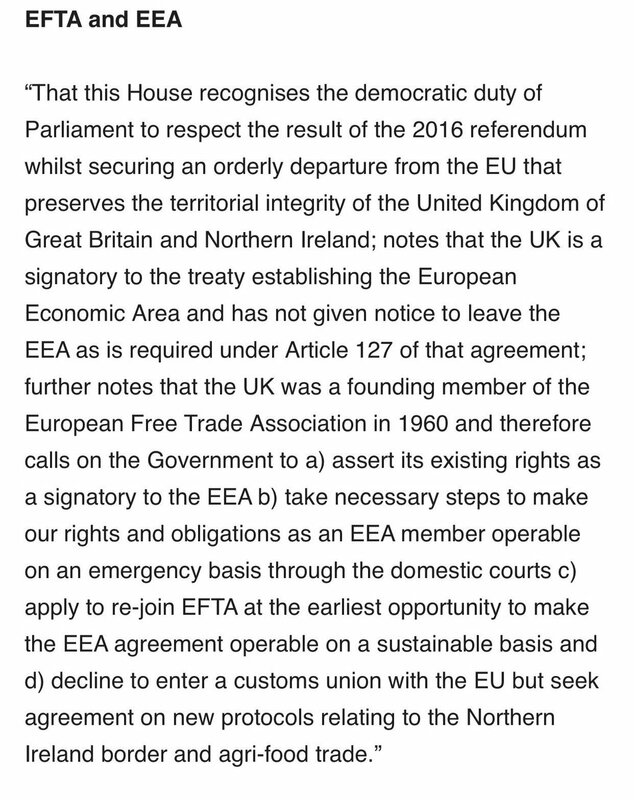 However, when one sees Eustice write in detail about his plan, it immediately becomes apparent how far he has to travel and how little he understands of the practical difficulties of implementing the full Efta/EEA option. There seems something inherently perverse driving MPs to publish their own little pet schemes, with only the bare minimum of preparation and understanding, with their refusal to consult sources which would help them on their way. But then, such people cannot really be interested in securing real solutions, otherwise they would doubtless take more care in what they write. As so often, we seem to be looking at ego-driven grandstanding. Even his basic terminology is wrong, with Eustice referring to Liechtenstein having a "derogation" from the free movement provisions (of the EEA Agreement), when in fact the principality has secured a permanent amendment to the Agreement, which is an altogether different thing. The basic problem Eustice has with his plan, though, is his failure to understand that the EEA Agreement represents only a part of the skein of agreements which secure the relationships between the EU and Efta States – and especially Norway. Thus, while he argues that the process of rejoining the so-called "EFTA pillar" can be concluded within three to six months, with no need for a long implementation period, he grossly understates the complexity of concluding comprehensive arrangements which would give the UK the "frictionless" trade it needs. In and amongst everything else, we would need a comprehensive agreement on VAT which goes further than any agreement so far concluded between the EU and any third country (including Norway), with extensive provisions for sharing data which would be extremely difficult to negotiate, given the sensitivities of this issue. Eustice does, however, refer to the need for a protocol on agri-trade, but that also understates the position. Given that trade in agricultural goods between the UK and the EU is so significant, it is unlikely that we could conclude an agreement on free access of goods without the UK committing to something very similar to the EU's common agricultural policy. Much the same will apply to fisheries and the CFP. At best, as I have already suggested, to conclude an Efta/EEA Agreement tailored to the requirements of the UK would take many years, which makes it neither an easy nor quick option. Thus, we would still need the Withdrawal Agreement and a prolonged transitional period before we were home and dry. Even then, from the perspective of the Efta States, the EEA Agreement is flawed, lacking in the co-decision provisions which Delors originally promised. While the Agreement in its current form might suit the UK for its short-term needs, it is not an adequate long-term option. We would need to rejoin on the basis that we would be supporting Efta States in seeking to remedy its defects. Such issues should have been explored years ago - as indeed they were in Flexcit – and by now largely settled. We should not, weeks before we are due to leave, be confronting cut-down Janet & John versions of complex plans, produced by evident lightweights who clearly have only a superficial grasp of the issues. But, to cap it all, we have a Labour MP, one of the 650, complaining that "you might as well have put a dead cat in there instead of me; it would have had as much of a role as I’ve had in the Brexit discussions". Yet, any individual MP has extraordinary power and resource. With privileged access to the world-class House of Commons library – with portals to every major academic library database in the world – MPs have unrivalled opportunities to educate and inform themselves, without personal cost. They have unlimited opportunities to place written questions demanding information from ministers (Owen Paterson and I placed over 350 on a single subject), they can raise oral questions, early day motions and adjournment debates, and have all the media access and prestige that they could ask for, to get their messages heard. For sure, it is not easy and takes a lot of work, but the opportunities are there and can be effective if skilfully used. One wonders why, therefore, this MP bothered to get elected if he is that useless. But then, it would be hard to identify a single MP who would invite admiration for their performances. From the jaw-dropping admission of Rees-Mogg, to the crass misstatements of Lucy Powell, we are dealing with a grouping that, at best, is sub-optimal. All they seem to be able to do with any verve is fight like rats in a sack.